A new 10,000 sq. ft. day care for high quality learning, run by Splash Early Learning Centre. The daycare will feature an innovative new outdoor play space using natural and sustainable materials, where children and parents can garden together, learn about food security and environmental practices. A new 5,000 sq. ft. dance studio for NAfro Dance Centre, a not for profit arts centre that is home to independent artists, collectives, dance schools and performance troupes. Up to 7,000 sq. ft. of redeveloped space for the Oak Table, a Community Ministry that helps to low-income, unemployed, and homeless people. The space includes a new commercial kitchen to assist the 100+ volunteers that support Oak Table. In the last year, Oak Table has served 19,500 meals to 180 people a day. 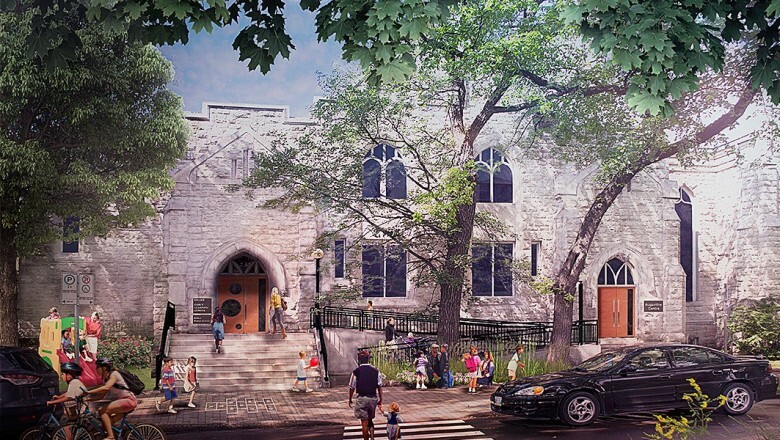 The main sanctuary will be renovated and restored to serve as a Church Sanctuary and Performing Arts Centre, with a new stage, exhibit lighting and updated sound system.